Congratulations to Mr. Alcaraz who won the trip to Belgium from Labatt Brewery. 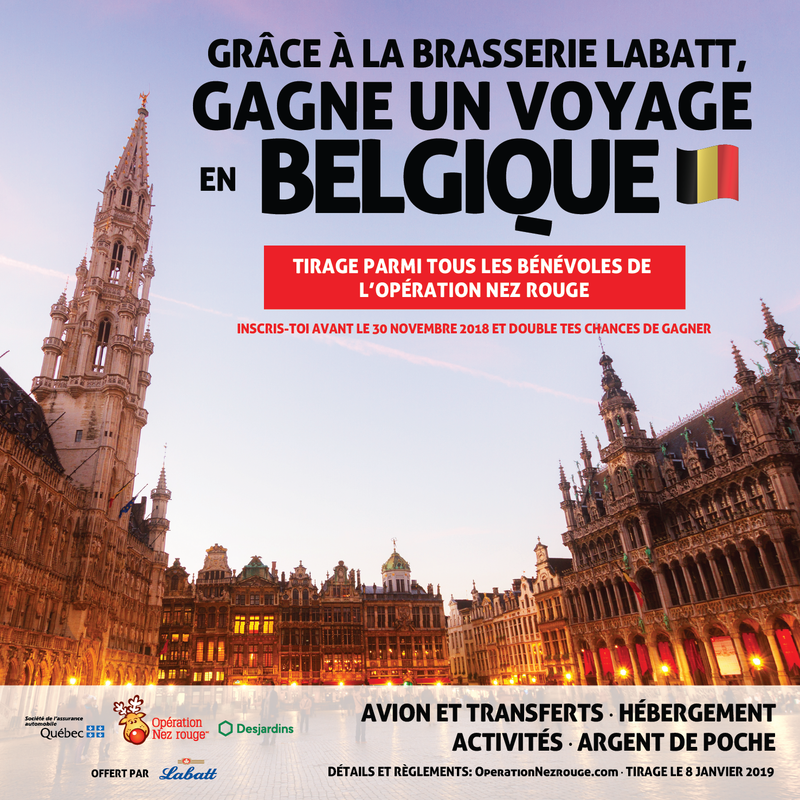 We are pleased to announce that the winner of the trip to Belgium has been won by Charles Alcaraz, a volunteer at Operation Red Nose Vallée-du-Richelieu! The price includes: a trip for two to Brussels, accommodation, a visit to the Stella Artois brewery and $500 in spending money. Congratulations and thank you to the many volunteers for this beautiful campaign!